Why is shopping for jeans so darn difficult? With all the sizes, styles and fits available, you’d think it would be really simple. Well today, I hope to make it a little easier by sharing with you my current favorite brand. 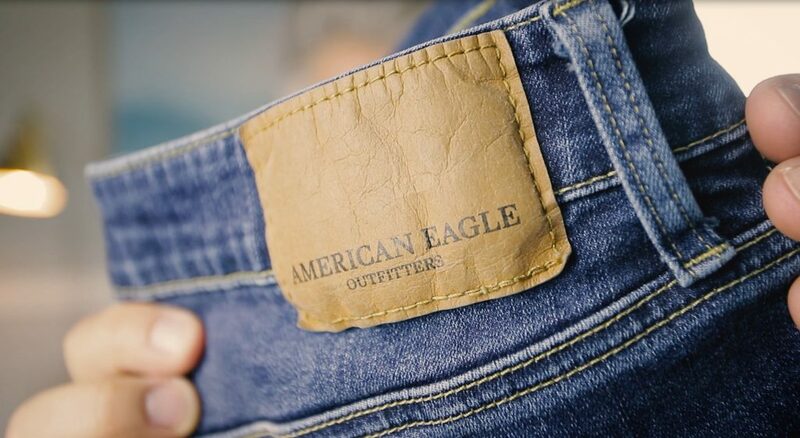 I’ve been buying most all of my jeans lately from American Eagle Outfitters. While it is a store for younger people, they do have a great selection of denim as well as chinos for us guys. They have all the current fits from skinny, slim, slim straight, straight, boot-cut, relaxed and loose fit, so whatever you’re into, they have you covered. I would suggest however trying on the extreme flex slim or slim straight. They’re super stretchy and so comfortable you won’t believe it. I’ve had several pair for almost a year and they’re still holding up perfectly, so I can vouch for the quality. They’re also sized consistent from pair to pair and they’re affordable.. under $60! It’s a great price for the quality and comfort you’re getting. Guys, you owe it to yourself to go try some on to feel it for yourself. As always, please subscribe to my YouTube channel and give the videos a thumbs up! It really does help.